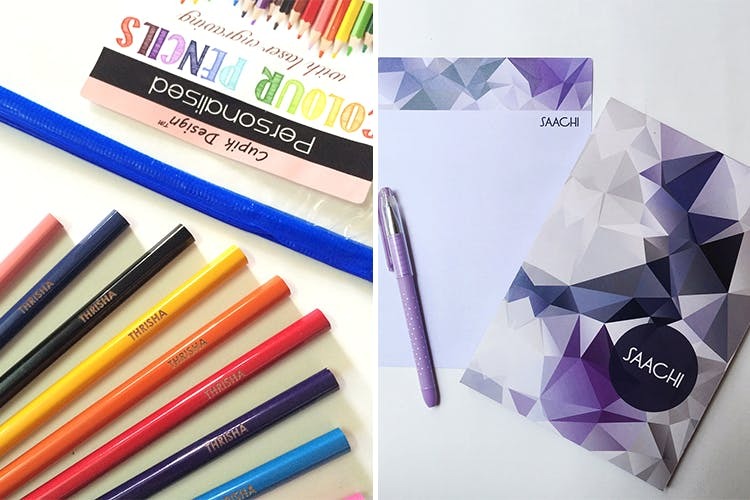 Cupik Design is a brand that does personalised stationery and accessorises. They've got more than 65 product lines, including everything from wrapping paper and envelops to journals, bags/cases and gift note cards. What started as a kids' stationery brand in 2012 has become a platform for all kinds of personalised accessories and paraphernalia (for adults too). Cupik Designs is a paper paradise. We found a bunch of colourful weekly planners, magnetic list pads, pretty envelopes and bookmarks—all of which, you can customise. Since wedding season is around the corner, you might want to stock up on Cupik Design's Gift Box Sets. Each set comes with wrapping paper, envelopes, gift tags, ribbons and notecards that will sort you out for all your yearly gifting needs. Bags, badges, pencil pouches, USB drives and placemats are some of other things you can find on their website. Most of the stuff that we can find on Cupik Design's website is meant for kids. We wish they stocked more options for grown-ups too. We also feel that the prices for a number of things could've been lower. Also, be prepared to sift through a bunch of average options before you find products and patterns that are stunning. Check out Cupik Design's hamper sets. They're a good option if you're looking to buy more than one product, or looking for a gift. Just a heads-up—they take around 10 days to get the products delivered to your place, so be sure to take the delivery time into account before placing the order.